When I first was trying to figure out how to work Edelweiss, I requested three books randomly and this is one of them! I have read book one, and I didn’t love it, but I enjoyed it enough. And I hate deleting ARCs from my TBR! One day, one day! I bought this on my birthday in 2017, when I was home and vised a bookstore in Flint. How in the hell have I had this beautiful book for over a year and haven’t picked it up? Why am I like this? When I went to the Goodreads Summit in 2017, this amazing friend I made recommended this to me and told me it was her favorite series of all time! (And that book two is better than this one!) And like, it’s the perfect time of year to read this book, so I should honestly do so! 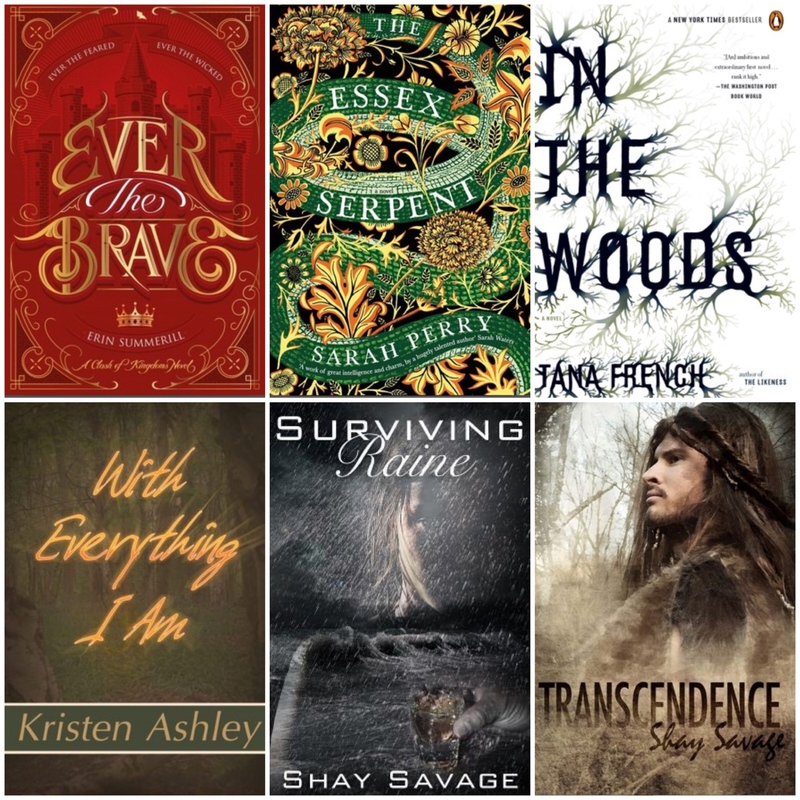 Okay, so everyone who loves romance reads Kristen Ashley, but I somehow have been missing out for all these years! And this is the one that everyone says is her best work. What do you think? The fact that it is #2 scares me! But, maybe they are standalone? Help, friends! Shay Savage is another romance writer that I can’t believe I haven’t read! And I think her books are hella taboo? I think? So, you all should tell me which one out of these two that I should keep and start with! Thank you in advance! And I’m sorry I’m such a romance slacker! I also wasn’t really a big fan of Ever the Hunted but really thought that Ever the Brave was a huge improvement! Like from the plot to the character to the writing, it was just sooo much better and I really enjoyed it. But maybe it was cause I just really enjoyed the love triangle lmao. I haven’t read Clash of Kingdoms series but I’ve heard a lot of mixed reviews about it. I hope you enjoy the sequel if you decide to give it a shot. I don’t know if I even finished the first book of the Clash of Kingdoms series I was soooo over it. Sounds like it would be a fun buddy read! Maybe when we find time in our schedules it would be great! Glad you kept In the Woods! Love that series! I’m thinking of writing this article myself as well so I can ‘clean up’ my Goodreads tbr, but at the same time; when I’m reading them over at other blogs, like here, I want to add new ones to my tbr, lol. Can’t wait to see what you’ll think of the ones you kept in the end! No help here – haven’t read any of these. But there sure are some beautiful covers. I’m trash for Transcendence. Is it probably problematic? Yes, but I can’t be bothered to care. I’ve actually seen so many of my friends love that one too!